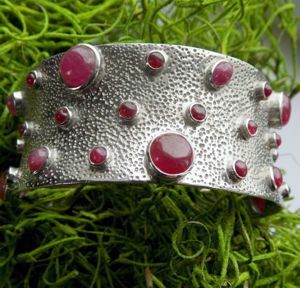 During my travels in Myanmar, I collected 37 stunning rubies and kept them safe for about 7 years. 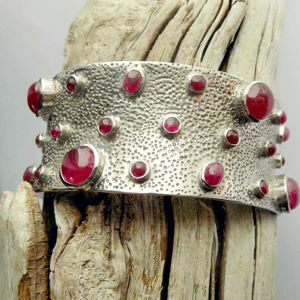 Then I decided to combine them all in one piece of work. 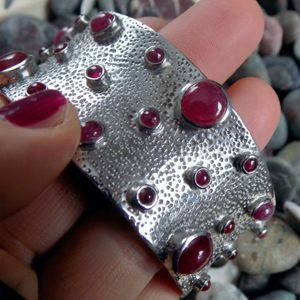 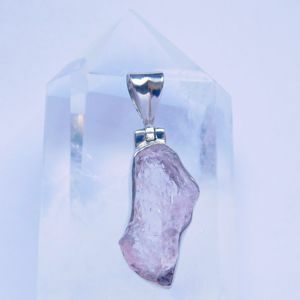 This breathtaking piece is made out of uniquely textured Sterling Slver. 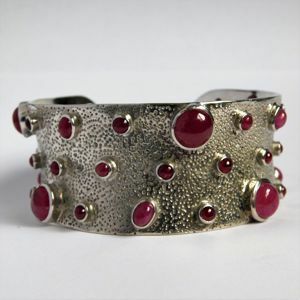 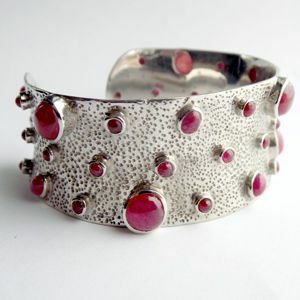 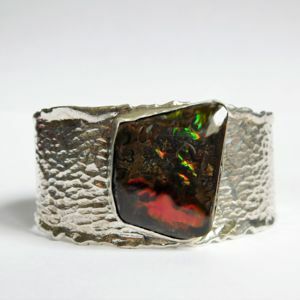 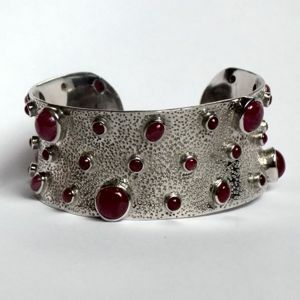 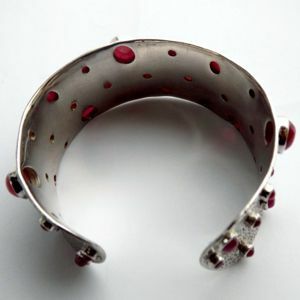 The bangle is 18 cm long, 3 cm wide and the metal is 1.5 mm thick.